False guilt is when you feel guilty, but you haven’t actually done anything wrong. One of the specific areas false guilt is impacting coaches – new and old – is charging fees. I know a lot out there has been written about why you shouldn’t feel guilty about charging for your services or why you shouldn’t feel guilty about charging high fees. All those articles are written from the perspective of giving you a logical argument for why you should be getting paid to help others. I won’t say anyone’s argument is wrong. I mostly agree with what people are saying. The problem is that the source of this guilt isn’t logical. It frankly doesn’t matter if I gave you a referenced 8 point argument for why you should get paid, and get paid a lot of money to coach people, because the problem isn’t it in your head, it’s in your heart. When I say “your heart,” of course I’m talking about your subconscious mind. 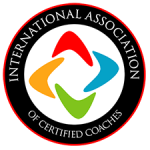 What we’re really dealing with is a belief system or a value system that’s in place that causes coaches – regardless of what the argument is – to lower their fees until their guilt is satisfied. What I would call this is a false belief (or lie) or false value that is the source of the false guilt. I feel guilty for charging people a lot of money because I would do this for free. I feel guilty for charging people because coaching isn’t a hard job for me. The question is where did this belief originate? For me, and I’m a Gen Xer, both of the generations before ours accused us of being slackers. And, if we’re honest, every generation has accused the previous generation of being lazy or at least not willing to work as hard as they did. Speaking from an American perspective, hard work still seems to be a high value in our culture. And I would probably argue that people who appear to work harder are more respected than people who don’t appear to work as hard. A couple of years ago, I knew a coach who was struggling with a lot of false guilt because they were leaving a demanding, well-paid profession to start their own coaching practice. I helped them drill down to what was driving the guilt, and they quickly discovered that the guilt was coming from their parents. Both of their parents were from an older generation and worked back-breaking, thankless jobs until they retired. Just so you’re not lost as to why I asked the question: I had to make sure that their guilt wasn’t coming from going against their own value system. What they went on to describe was that the affirmation that they received their entire lives from their parents was based on doing hard things and working really hard. This was an important root to identify. They weren’t doing anything wrong, but they were going to have affirmation withheld for not doing what would be an acceptable job. We connect guilty feelings with doing something wrong. When we are in our formidable years, often when we did wrong – in school or with our parents – love and affirmation were withheld. So, for this coach, the fact that their parents couldn’t affirm their career choice because of the perceived lack of hard work, they subconsciously associated with doing something wrong. That’s the problem. So what’s the solution? With this particular issue – “I don’t work hard enough…” – we have to isolate the voice. Who is saying you don’t work hard enough? Is hard work your value or someone else’s? When we can isolate the voice or voices, we actually get the chance, at this stage of life, to choose whether those same voices are going to validate our success in the future. If they are, well then you’ll always feel guilty about not working hard enough. But if you want to drop the false guilt, then you have to choose another affirming voice to speak validation over your career and how much money you charge to do it. “Many people out there would love three-day or even four-day weekends…Everyone would welcome more time to spend with their loved ones, more time to get fit and healthy, more time to explore the world. Richard Branson operates out of a different value system, and he’s proven that it works for him and the many people he employs. (5.21.18) Mentor Monday: Help! I'm religious/spiritual & I feel guilty about charging people!